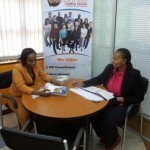 Senior Accountant Job In Nairobi, Accounting Jobs, Jobs In Nairobi. Our Client is one of the leading distribution companies based in Nairobi. They are seeking to recruit a senior accountant who will be tasked with managing all financial transactions; will manage the annual audit process, coordinate the annual budgeting and planning process as well as manage the vat, tax and required statutory returns, submissions and payments.